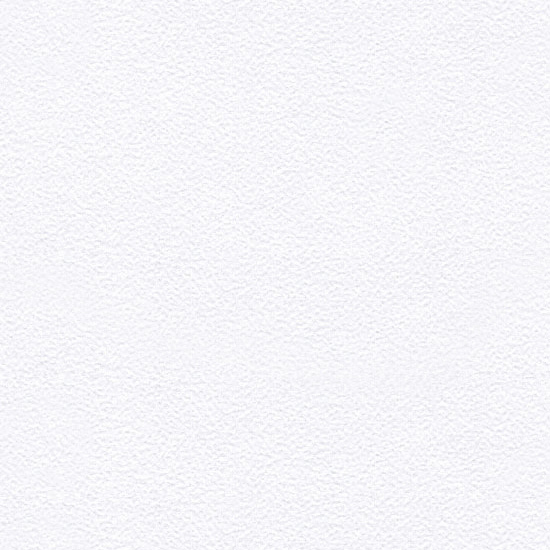 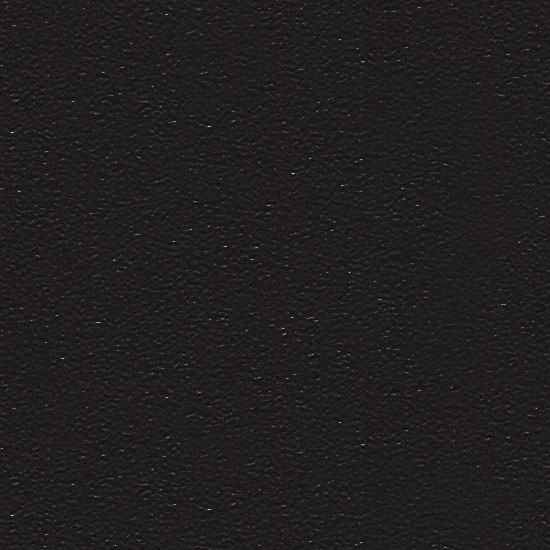 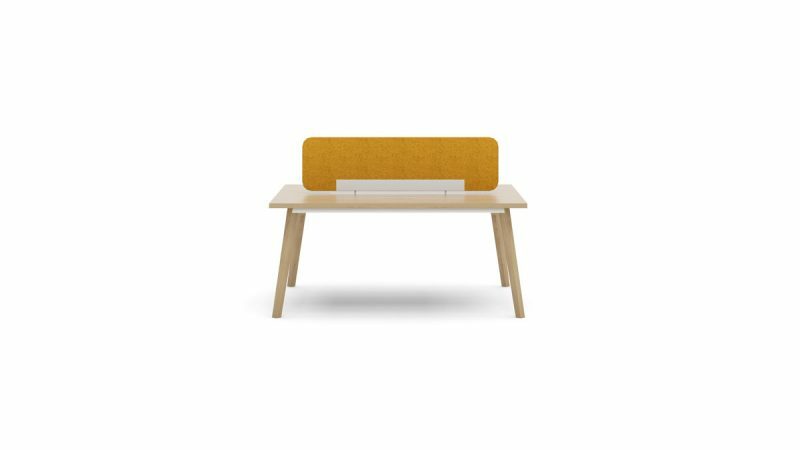 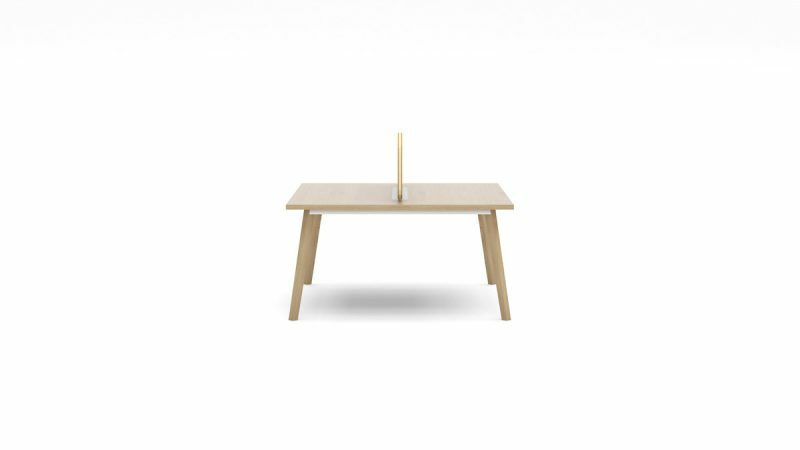 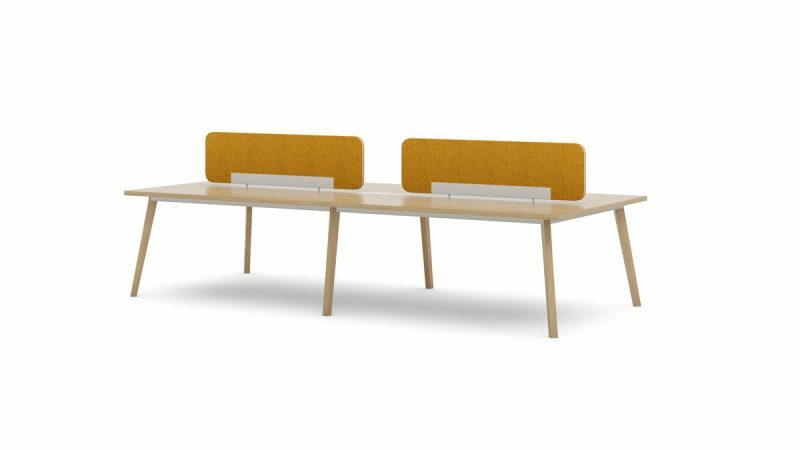 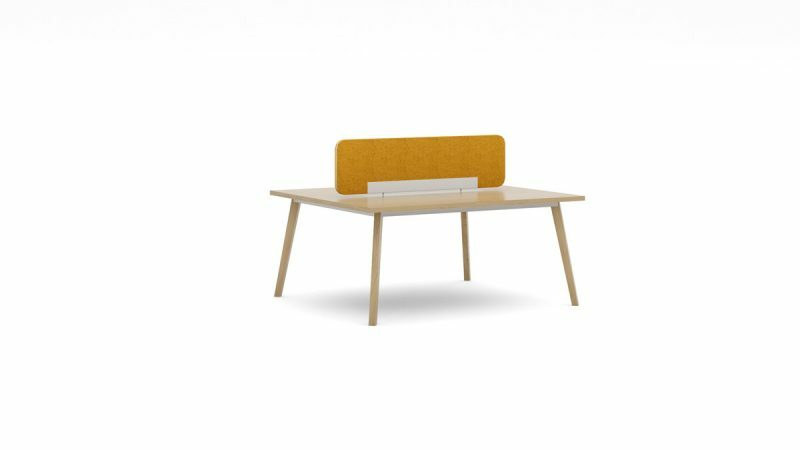 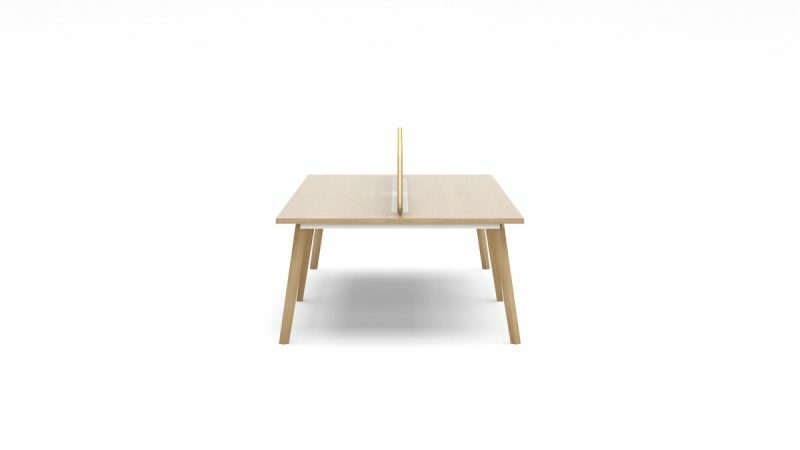 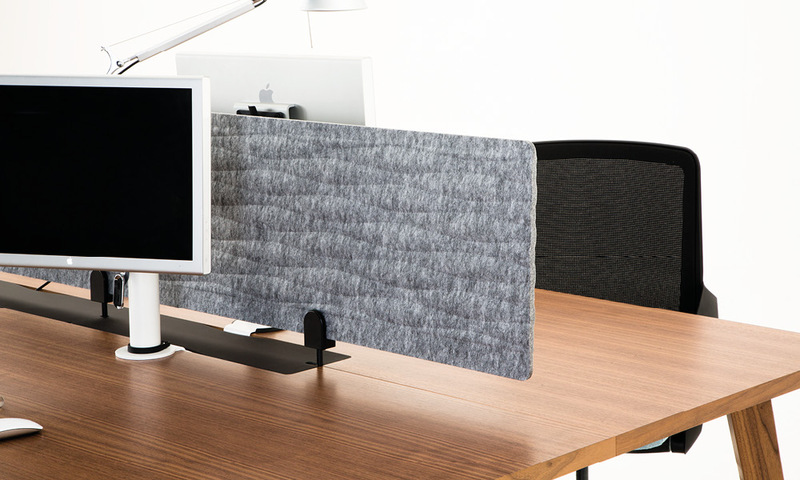 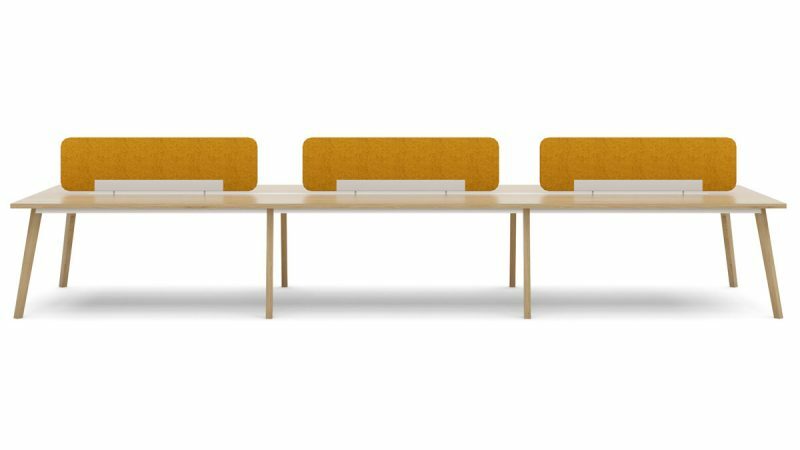 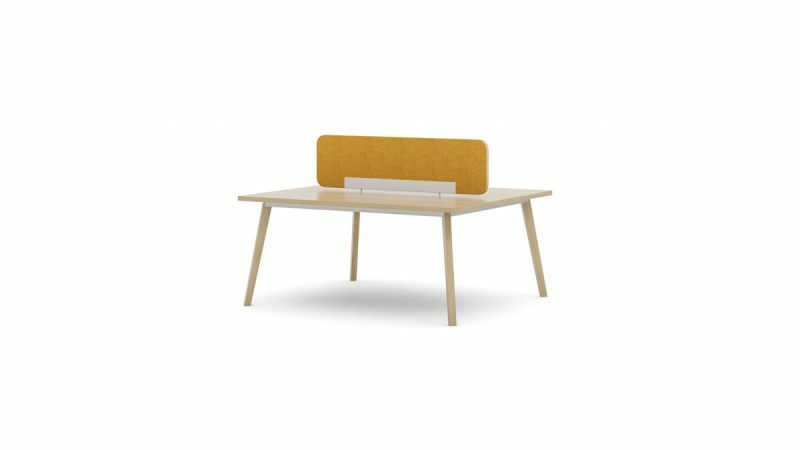 Martin’s clean and simple form brings an elegance and simple style to the bench systems. Featuring a reduced footprint depth of 1400mm, Martin still provides ample worksurface and is ideal for most spaces. 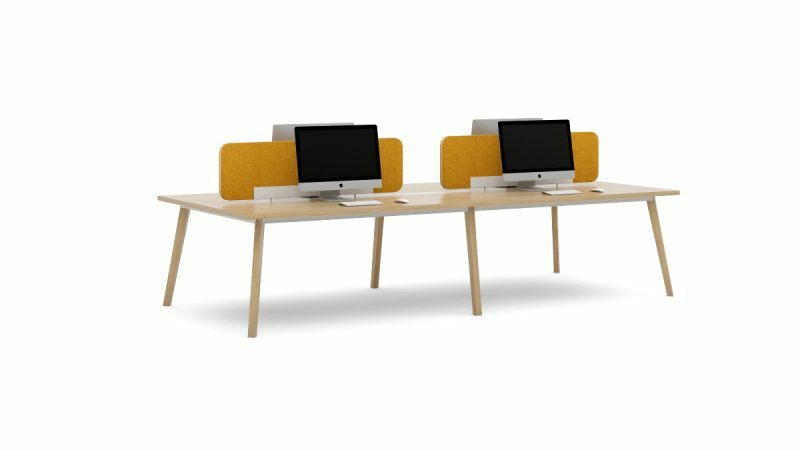 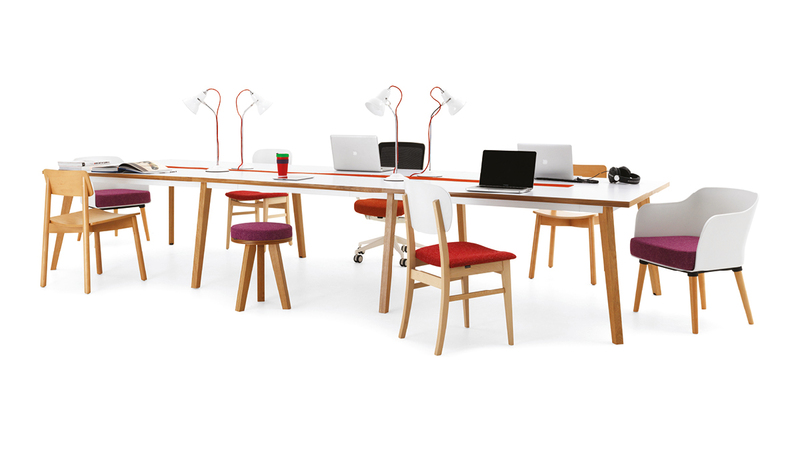 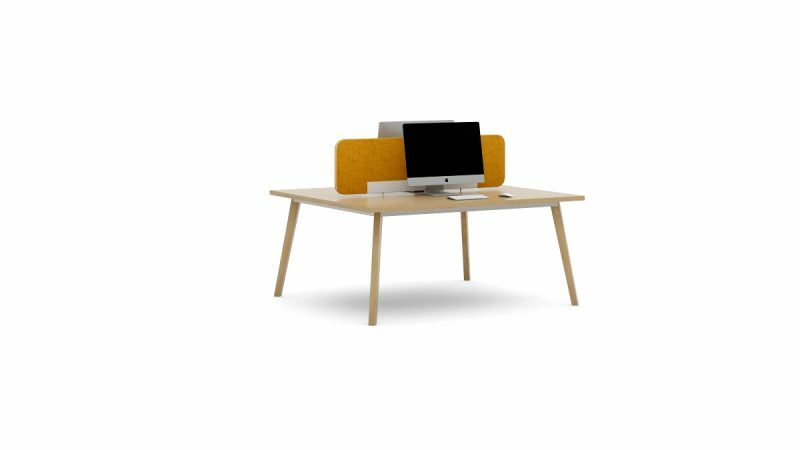 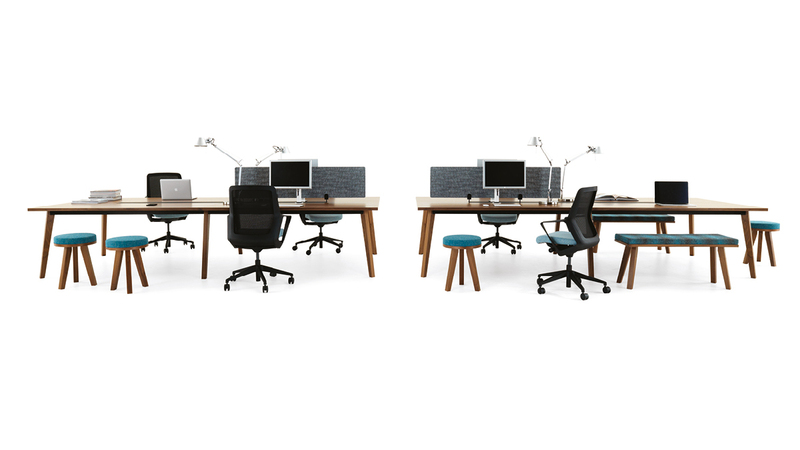 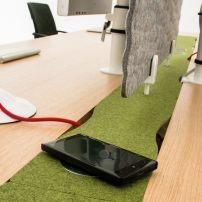 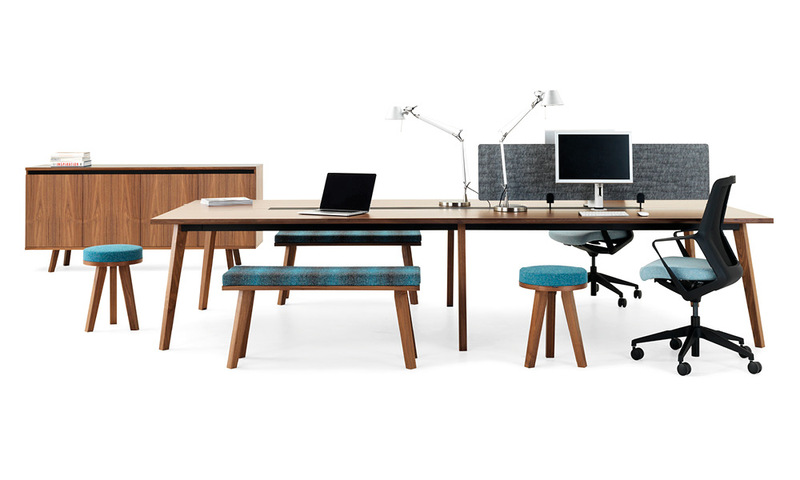 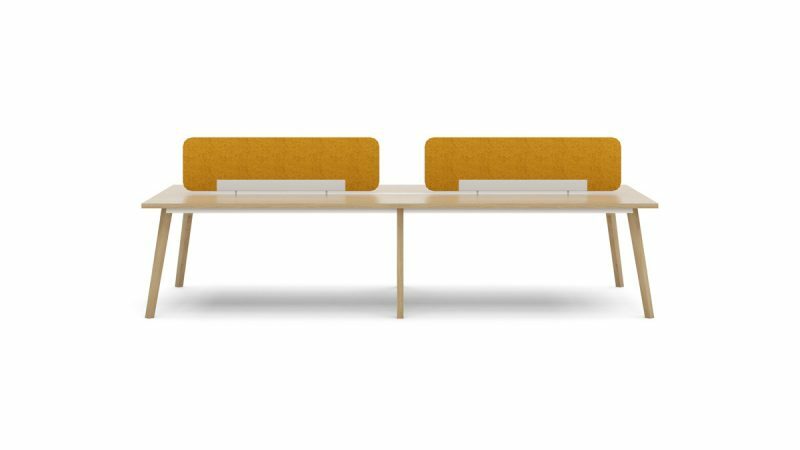 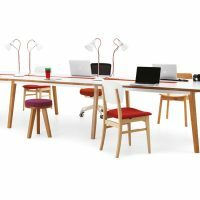 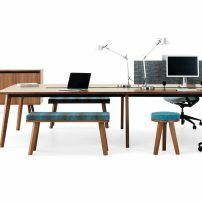 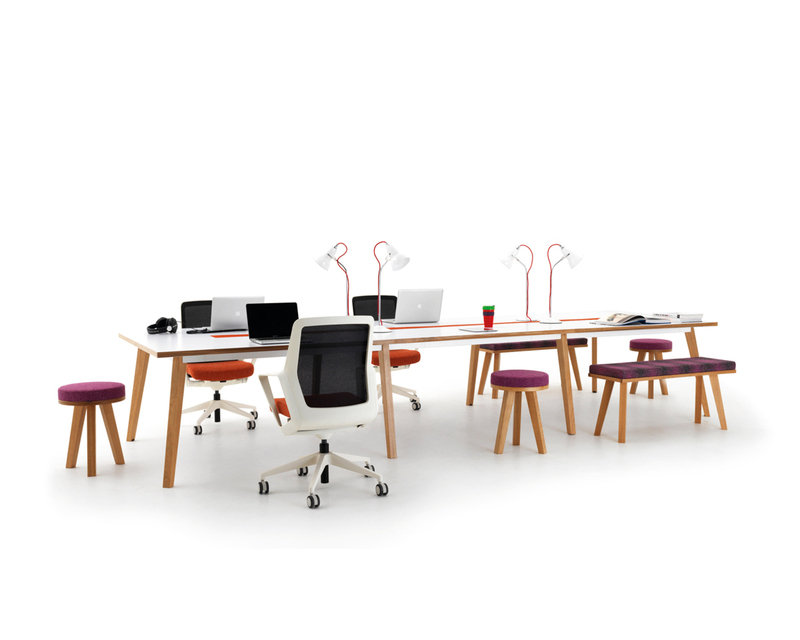 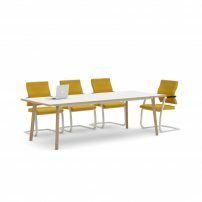 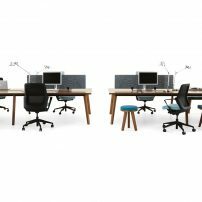 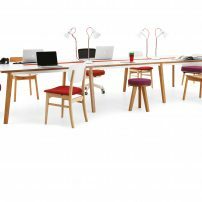 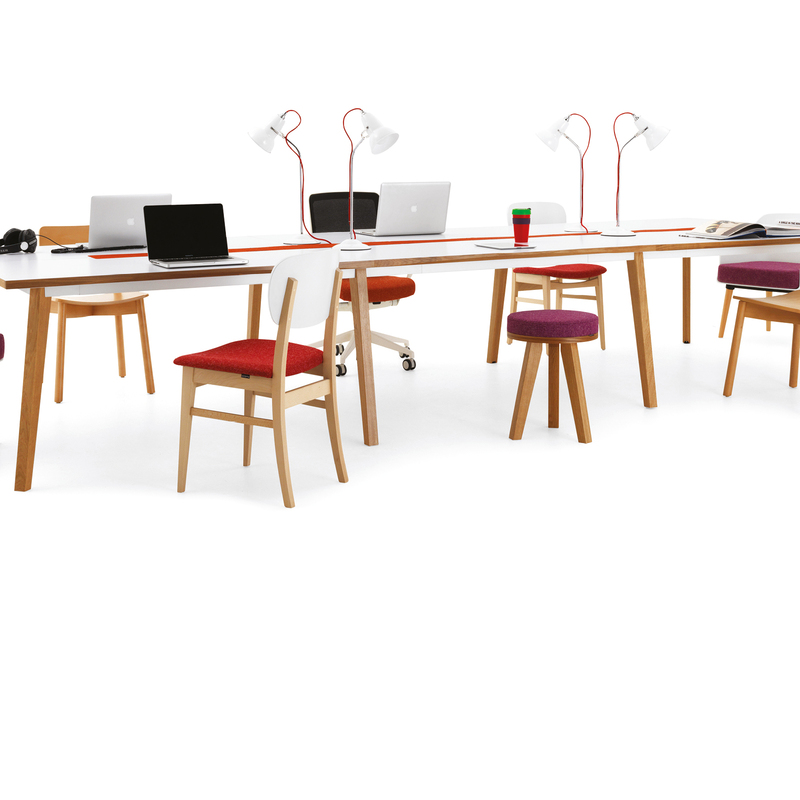 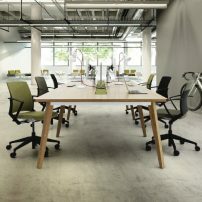 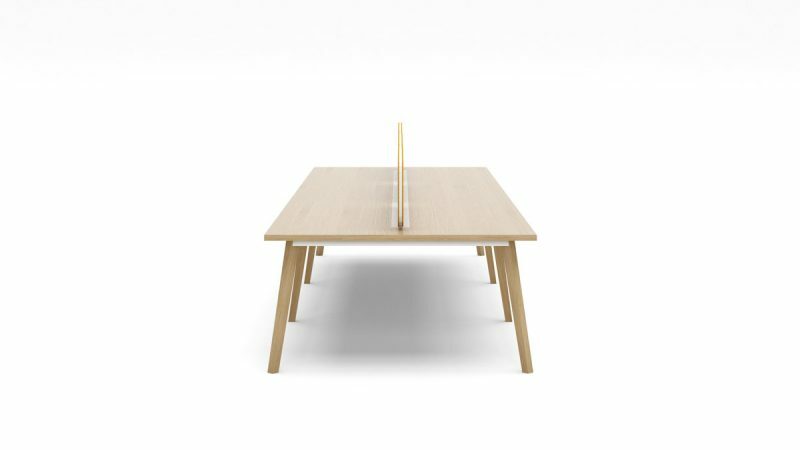 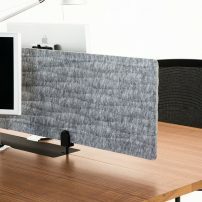 The use of intermediate legs allows the bench to grow according to your needs, while still maintaining the informal and friendly feel of a collaborative work table. 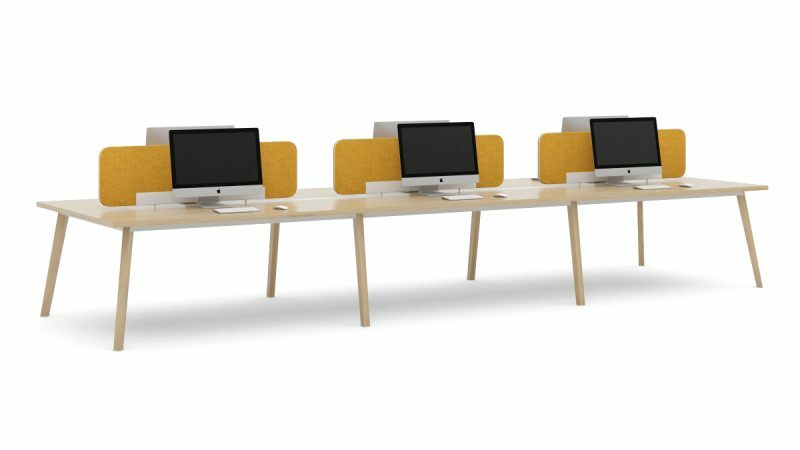 A six person back to back bench starter module 3200 x 1400 x 740mm, with solid wood lipping featuring a cambered chamfer edge and supported by an elegant tubular frame and solid wood legs with height adjustable feet. 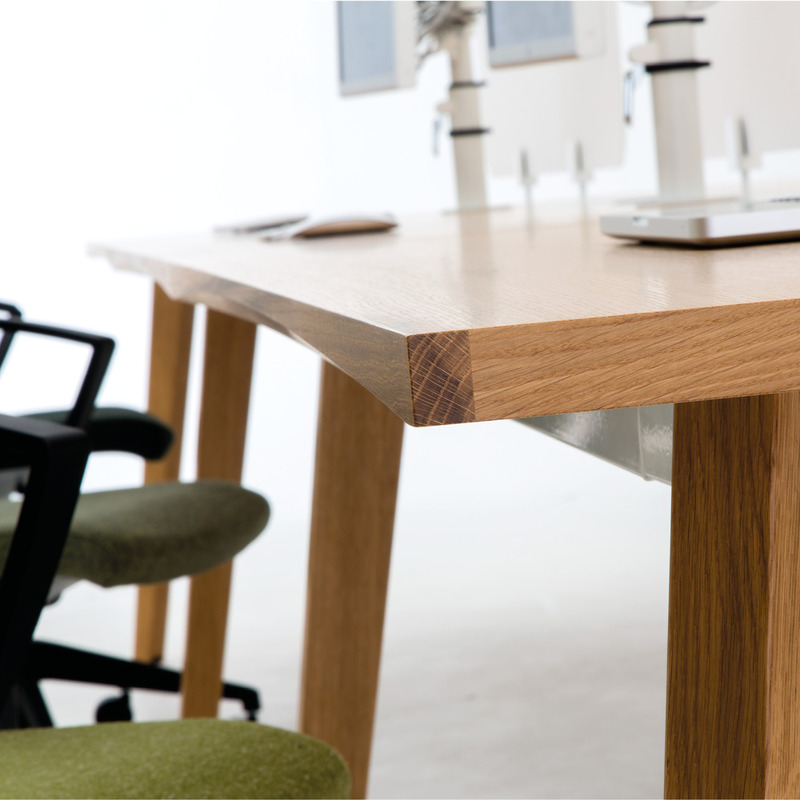 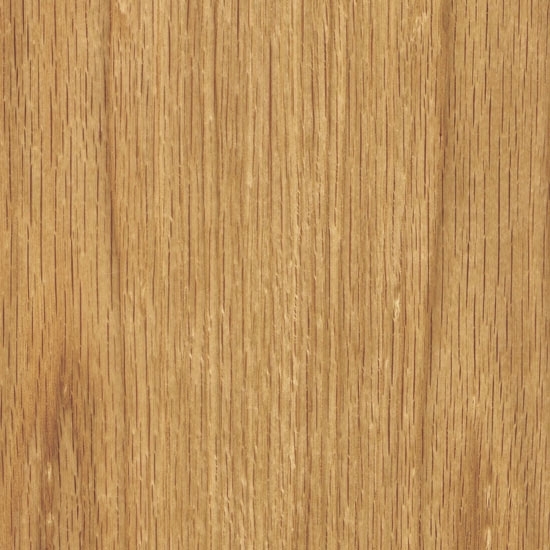 Shown in an Oak Veneer finish and Solid Oak Legs. 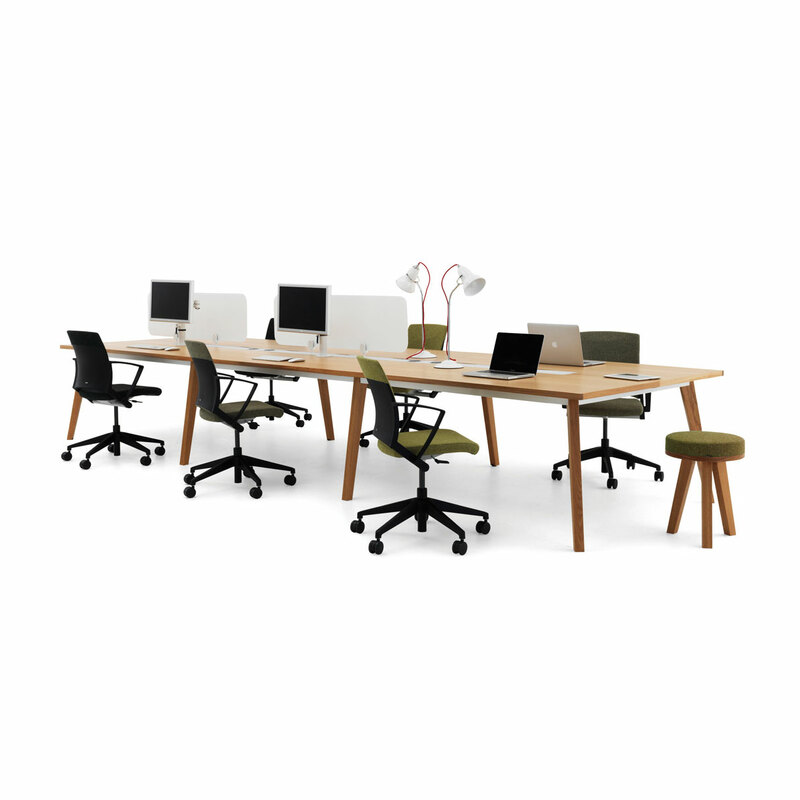 A four person back to back bench starter module 3200 x 1400 x 740mm, with solid wood lipping featuring a cambered chamfer edge and supported by an elegant tubular frame and solid wood legs with height adjustable feet. 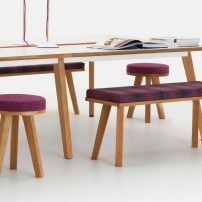 Shown in an Oak Veneer finish and Solid Oak Legs. 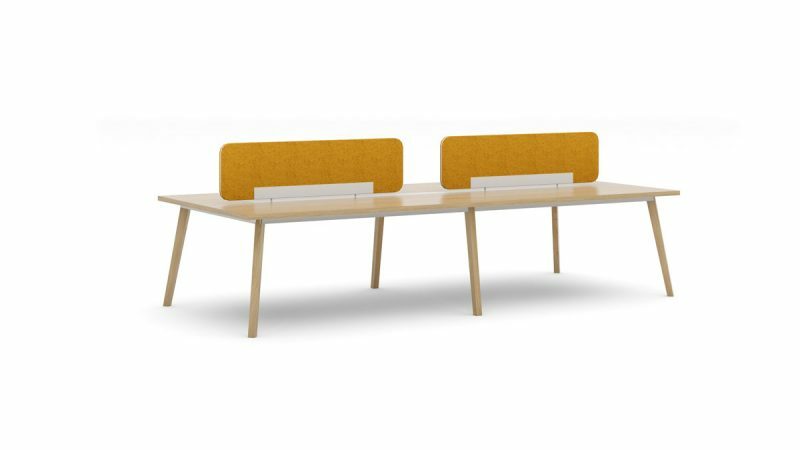 A two person back to back bench starter module 1600 x 1400 x 740mm, with solid wood lipping featuring a cambered chamfer edge and supported by an elegant tubular frame and solid wood legs with height adjustable feet. Shown in an Oak Veneer finish and Solid Oak Legs. 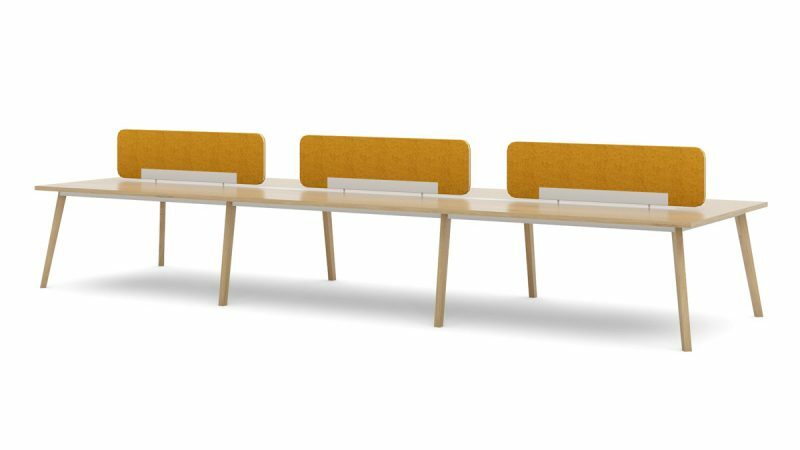 A six person back to back bench starter module 3200 x 1400 x 740mm, with solid wood lipping featuring a cambered chamfer edge and supported by an elegant tubular frame and solid wood legs with height adjustable feet. 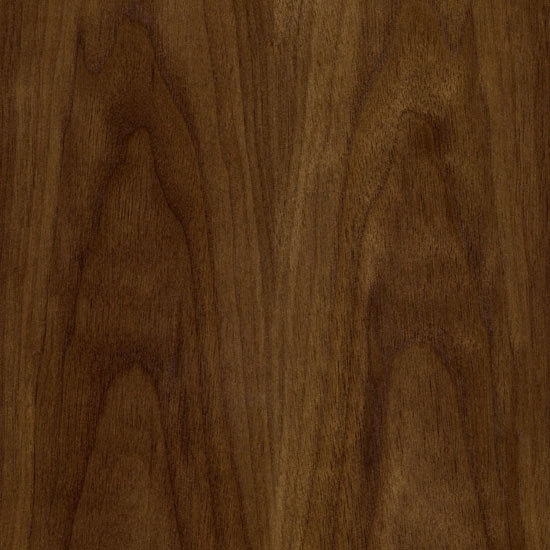 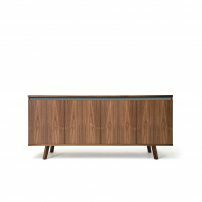 Shown in an Walnut Veneer finish and Solid Walnut Legs. 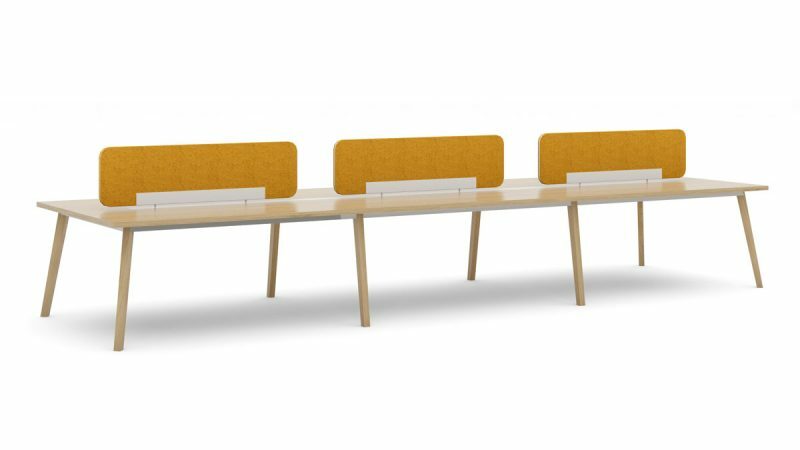 A six person back to back bench starter module 3200 x 1400 x 740mm, with solid wood lipping featuring a cambered chamfer edge and supported by an elegant tubular frame and solid wood legs with height adjustable feet. 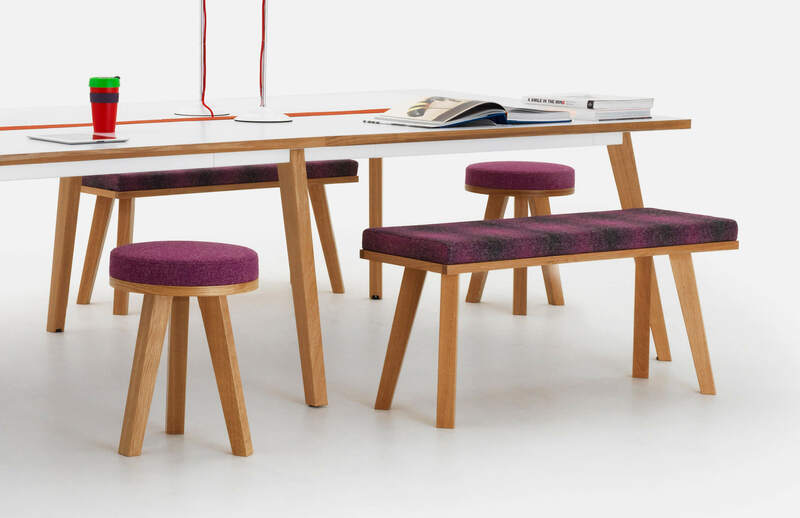 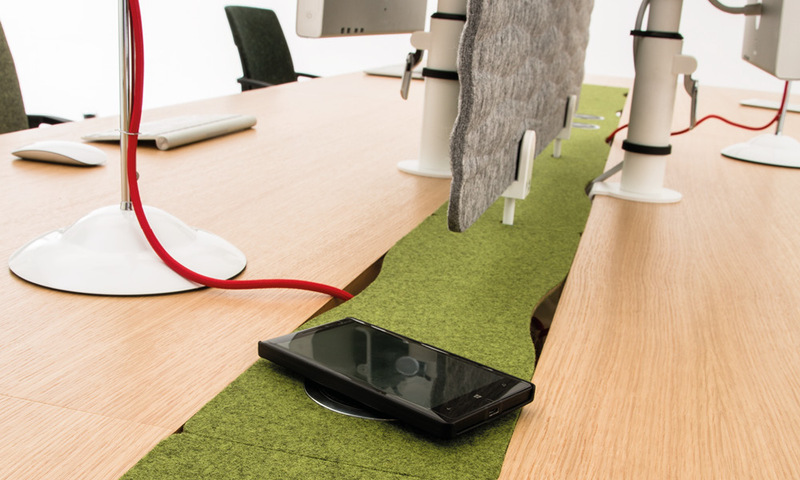 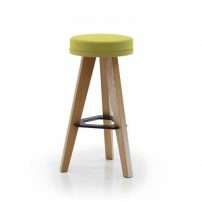 Shown with an Nanotec Laminate finish and Solid Oak Legs.